Footprints on Rock. Sydney: Metropolitan Local Aboriginal Land Council. 1997. ISBN 0-7313-1002-0. Frankel, David (1982). "Earth rings at Sunbury, Victoria". Archaeology in Oceania. 17 (2): 89–97. Fuller, Robert S.; Hamacher, Duane W.; Norris, Ray P. (2013). "Astronomical Orientations of Bora Ceremonial Grounds in Southeast Australia" (PDF). Australian Archaeology (77): 30–37. A dukun is an Indonesian-Malay term for shaman. In Malaysia, they are referred to as bomoh. 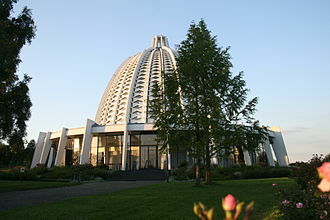 Their societal role is that of a healer, spirit medium and tradition experts. In common usage the dukun is often confused with another type of shaman and it is often mistranslated into English as witch doctor or medicine man. The dukun is the epitome of the kejawen or kebatinan belief system indigenous to Java. 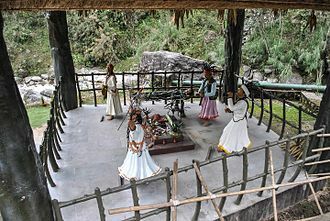 Beneath the thin superficial practice of Islam, very strong and ancient beliefs of animism, ancestor worship, in the pre-colonial past, dukun were exempt from paying taxes, as with Hindu priests and Buddhist monks. Many highly prominent and highly educated Indonesians and Singaporeans, even those with Western doctorate and masters levels degrees will still consult dukun or soothsayers. Dukun are most common on the island of Java, though the island of Madura is especially feared for being very powerful practitioners of dark magic, the Dayak people of Kalimantan are feared for their use of dukun when head-hunting. In Sabah, the Kadayan community are renowned for their dukun who are said to look waif-like with red eyes, in common practice, a dukun is consulted when a person perceives they have an issue that has a supernatural or paranormal association. If a dukun is not known to the individual, their family or friends, word of mouth often creates a situation where the dukun will appear as if summoned, the dukuns knowledge is passed down orally, but the specific customs differ from one community to another. 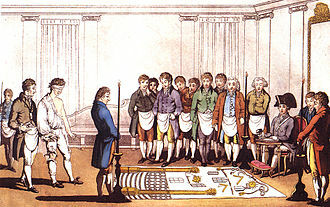 Initiates may voluntarily decide to learn the craft, or the position might be inherited. Proto-Malay dukun often serve the role of both shaman and village chief, known as a tok batin. Dukun who inherited their knowledge from their parent or grandparent is held in higher esteem than one who served as another dukuns disciple, typically the initiation ritual involves meditation at a mountain, cemetery or some other location away from people. In some communities, such as the Kadayan of Sabah, dukun are required to learn silat before they can be initiated, the purpose is both for the purpose of self-defence and for the spiritual training. The slametan is the communal feast from Java, symbolizing the social unity of those participating in it. Clifford Geertz considered it the core ritual in Javanese religion, in particular the abangan variant, the feast is common among the closely related Javanese and Madurese people. A slametan can be given to celebrate almost any occurrence, including birth, death, moving to a new house, depending on the intention, the mood and emphasis may vary somewhat, but the main structure is the same. This is what the host intends for himself and his guests, by experiencing the egalitarian structure of the slametan and the petitions of supernatural protection from spirits. In Geertzs fieldwork in Mojokuto in the 1950s, he found that costs of slametans varied from 3 to 5,000 Indonesian rupiahs, depending on the type, slametans are generally held in the evening, after evening prayer is finished. 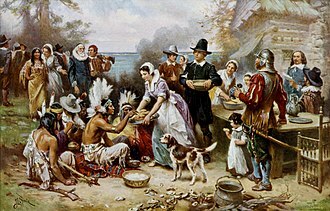 The date is determined either by the occurrence it is celebrating, the guests, always men, are always close neighbors, and the selection of guests is based entirely on proximity, and not whether they are friends or relatives. They are called by a messenger of the host only five or ten minutes before the slametan is to begin, when they arrive, the guests sit on floor mats around the food which has been placed in the center, while incense fills the room. The ceremony begins with a speech in high Javanese. During pauses in the speech, the audience responds with solemn inggih, following the speech, somebody present gives an Arabic chant-prayer. Many will not know how, but the host makes sure that there had attended a religious school. Fragments of the Koran, especially the al-Fatiha, are most commonly used, at pauses the audience says amen. The prayer leader receives a small payment, at last, the food is served. While the ceremony is strictly for men, the food preparation falls upon the women in the family, each guest receives a cup of tea and a banana-leaf dish containing each sort of food in the center of the room. The food is fancier than average, and each variety has a symbolic meaning, the host himself does not eat, nor does he serve the food, which one or two of the guests does. A rite of passage is a celebration of the passage which occurs when an individual leaves one group to enter another. It involves a significant change of status in society, in cultural anthropology the term is the Anglicisation of rite de passage, a French term innovated by the ethnographer Arnold van Gennep in his work Les rites de passage, The Rites of Passage. The term is now fully adopted into anthropology as well as into the literature, in English, Van Genneps first sentence of his first chapter begins, Each larger society contains within it several distinctly separate groupings. In addition, all these groups break down into still smaller societies in subgroups, the population of a society belongs to multiple groups, some more important to the individual than others. Van Gennep uses the metaphor, as a kind of house divided into rooms, a passage occurs when an individual leaves one group to enter another, in the metaphor, he changes rooms. Van Gennep further distinguishes between the secular and the sacred sphere, many groups in modern industrial society practice customs that can be traced to an earlier sacred phase. Passage between these requires an ceremony, or ritual hence rite of passage. He is able to find some universals, mainly two, the separation between men and women, and the magico-religious separation between the profane and the sacred. He refuses credit for being the first to recognize type of rites, in the work he concentrates on groups and rites individuals might normally encounter progressively, childbirth, betrothal, marriage and the like. He mentions some others, such as the passage, a crossing of borders into a culturally different region. Rites of passage have three phases, separation and incorporation, as van Gennep described, in the first phase, people withdraw from their current status and prepare to move from one place or status to another. The first phase comprises symbolic behavior signifying the detachment of the individual or group, from an earlier fixed point in the social structure. There is often a detachment or cutting away from the self in this phase. For example, the cutting of the hair for a person who has just joined the army and he or she is cutting away the former self, the civilian. Robert Ranulph Marett was a British ethnologist. He was an exponent of what is called the Evolutionary School or more precisely the British Evolutionary School of Cultural anthropology. 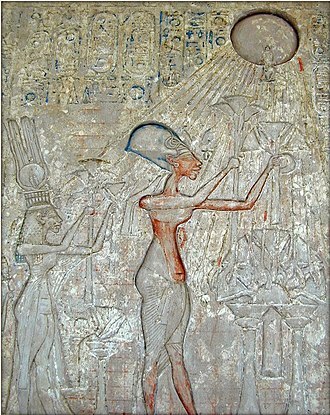 Marett focused primarily on the anthropology of religion, asserting with Tylor the evolutionary origin of religions he modified Tylors animistic theory to include the concept of mana. His anthropological teaching and writing career at Oxford University spanned the earlier 20th century prior to the Second World War and he trained many notable anthropologists. He was a colleague of John Myres and through him connected to the world of Aegean archaeology. Marett was the son of Sir Robert Pipon Marett and Bailiff of Jersey. He was born in Saint Brélade and he belonged to a family, originally named Maret, that settled on Jersey from Normandy in the 13th century. The Saint Brélade branch came finally to build a house for themselves. They were substantial in wealth and position, contributing high-level magistrates to the government of Jersey, roberts father had been Bailiff of Jersey. He was one of the founders of La Patrie, a patriotic newspaper, Philip Maret, 3rd son of the 2nd Seigneur of La Haule, born in 1701, had emigrated to Boston, where he became a merchant captain. His subsequent family participated in the American Revolution and the War of 1812, roberts mother, Julia Anne, bore the name of Marett before marriage. She was one of the eight children of the Janvrin sisters, Esther Elizabeth and Maria Eliza, by one Philip Marett, Philip was a name often used by the Maretts. Thus Julia Anne was only a distant cousin of her husband, the house, came into Robert Ranulphs possession through his mother. Her mother was Maria Eliza Janvrin and she and Robert Pipon had four children, Robert Ranulph, Mabel Elizabeth, Philippa Laetitia, and Julia Mary. Robert Ranulph may have been a son, but he had three sisters and a large number of cousins. He came from a large-family environment, nature in her kindness endowed him with good brains, good memory, lively imagination and abounding physical vigour. Divination is the attempt to gain insight into a question or situation by way of an occultic, standardized process or ritual. Divination can be seen as a method with which to organize what appear to be disjointed. Fortune-telling, on the hand, is a more everyday practice for personal purposes. Particular divination methods vary by culture and religion, divination is dismissed by the scientific community and skeptics as being superstition. Psychologist Julian Jaynes categorized divination into the four types, Omens. Chinese history offers scrupulously documented occurrences of births, the tracking of natural phenomena. Chinese governmental planning relied on this method of forecasting for long-range strategies and it is not unreasonable to assume that modern scientific inquiry began with this kind of divination, Joseph Needhams work considered this very idea. This consists of the casting of lots, or sortes, whether with sticks, bones, coins, modern playing cards and board games developed from this type of divination. This ranks a set of given possibilities and it can be qualitative, for example, dowsing developed from this type of divination. The Romans, in times, used Etruscan methods of augury such as hepatoscopy. Augury is normally considered to refer to divination by studying the flight patterns of birds. An unconstrained form of divination, free from any particular medium, the answer comes from whatever object the diviner happens to see or hear. Some religions use a form of bibliomancy, they ask a question, riffle the pages of their holy book, other forms of spontaneous divination include reading auras and New Age methods of feng shui such as intuitive and fuzion. In this practice, the examines the hands of a person for whom they are divining for indications of their future. The Oracle of Amun at the Siwa Oasis was made famous when Alexander the Great visited it after delivering Egypt from Persian rule in 332 BC, deuteronomy 18, 10-12 or Leviticus 19,26 can be interpreted as categorically forbidding divination. A ceremonial pole symbolizes a variety of concepts in several different cultures. 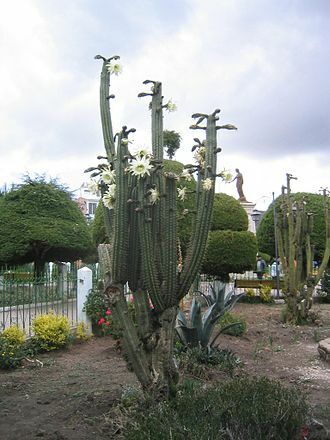 For example, in the Miao culture in Yunnan China, in The Evolution of the Idea of God, Grant Allen notes that Samoyeds of Siberia, and Damara of South Africa plant stakes at the graves of ancestors. A maypole is a wooden pole erected as a part of various European folk festivals. The festivals may occur on May Day or Pentecost, although in some countries it is erected at Midsummer. In some cases the maypole is a permanent feature that is utilised during the festival. It has been a practice in many parts of Europe throughout the Medieval and Early Modern periods. Today, the tradition is observed in some parts of Europe. Some scholars classify maypoles as symbols of the world axis and it is known that, in Norse paganism, cosmological views held that the universe was a world tree, known as Yggdrasil. There is therefore speculation that the maypole was in some way a continuance of this tradition, the floor of the Mære Church, was excavated in 1969, and found to contain the remains of a pagan cult structure. The nature of that structure was not clear, lidén felt this represented the remains of a building, but a critique by Olsen in the same work suggested this may have be been a site for pole-related rituals. A recent review of the evidence by Walaker concluded that this site was similar to the site in Hove and was likely the site of a ceremonial pole. A jangseung or village guardian is a Korean ceremonial pole, usually made of wood, jangseungs were traditionally placed at the edges of villages to mark for village boundaries and frighten away demons. They were worshipped as village tutelary deities, an Asherah pole is a sacred tree or pole that stood near Canaanite religious locations to honor the Ugaritic mother-goddess Asherah, consort of El. The relation of the references to an asherah and archaeological finds of Judaean pillar-figurines has engendered a literature of debate. The insertion of pole begs the question by setting up unwarranted expectations for such an object, we are never told exactly what it was. The word shaman probably originates from the Tungusic Evenki language of North Asia. 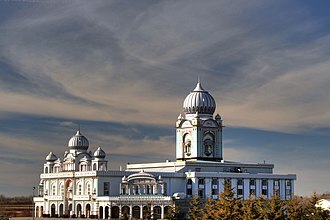 The term was introduced to the west after Russian forces conquered the shamanistic Khanate of Kazan in 1552, Mircea Eliade writes, A first definition of this complex phenomenon, and perhaps the least hazardous, will be, shamanism = technique of religious ecstasy. Shamanism encompasses the premise that shamans are intermediaries or messengers between the world and the spirit worlds. Shamans are said to treat ailments/illness by mending the soul, alleviating traumas affecting the soul/spirit restores the physical body of the individual to balance and wholeness. The shaman enters supernatural realms or dimensions to obtain solutions to problems afflicting the community, Shamans may visit other worlds/dimensions to bring guidance to misguided souls and to ameliorate illnesses of the human soul caused by foreign elements. The shaman operates primarily within the world, which in turn affects the human world. The restoration of balance results in the elimination of the ailment, hundreds of books and academic papers on the subject have been produced, with a peer-reviewed academic journal being devoted to the study of shamanism. The word shaman probably originates from the Evenki word šamán, most likely from the dialect spoken by the Sym Evenki peoples. 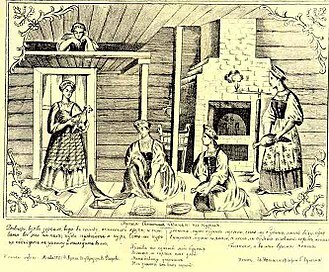 The Tungusic term was adopted by Russians interacting with the indigenous peoples in Siberia. It is found in the memoirs of the exiled Russian churchman Avvakum, adam Brand, a merchant from Lübeck, published in 1698 his account of a Russian embassy to China, a translation of his book, published the same year, introduced the word shaman to English speakers. The etymology of the Evenki word is sometimes connected to a Tungus root ša- to know, other scholars assert that the word comes directly from the Manchu language, and as such would be the only commonly used English word that is a loan from this language. This proposal has been thoroughly critiqued since 1917, ethnolinguist Juha Janhunen regards it as an anachronism and an impossibility that is nothing more than a far-fetched etymology. Ethnolinguists did not develop as a discipline nor achieve contact with these communities until the late 19th century, there is no single agreed-upon definition for the word shamanism among anthropologists. Joseph John Campbell was an American mythologist and lecturer, best known for his work in comparative mythology and comparative religion. His work covers many aspects of the human experience, Campbells magnum opus is his book titled The Hero with a Thousand Faces in which he discusses his theory of the journey of the archetypal hero found in world mythologies. Since publication of The Hero with a Thousand Faces, Campbells theory has been applied by a wide variety of modern writers. His philosophy has been summarized by his own often repeated phrase, Joseph Campbell was born in White Plains, New York, the son of Josephine and Charles William Campbell. He was from an upper-middle-class Irish Catholic family, during his childhood, he moved with his family to nearby New Rochelle, New York. In 1919 a fire destroyed the home in New Rochelle. 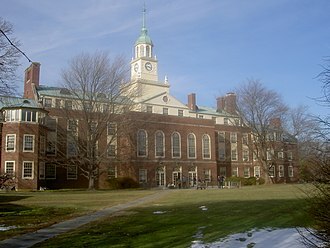 In 1921 Campbell graduated from the Canterbury School in New Milford, while at Dartmouth College he studied biology and mathematics, but decided that he preferred the humanities. He transferred to Columbia University, where he received a BA in English literature in 1925, at Dartmouth he had joined Delta Tau Delta. An accomplished athlete, he received awards in track and field events, in 1924 Campbell traveled to Europe with his family. In 1927 Campbell received a fellowship from Columbia University to study in Europe, Campbell studied Old French, Provençal and Sanskrit at the University of Paris in France and the University of Munich in Germany. 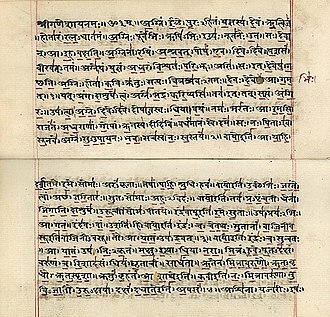 He learned to read and speak French and German, on his return to Columbia University in 1929, Campbell expressed a desire to pursue the study of Sanskrit and Modern Art in addition to Medieval literature. Lacking faculty approval, Campbell withdrew from graduate studies, in life he said while laughing but not in jest that it is a sign of incompetence to have a PhD in the liberal arts, the discipline covering his work. With the arrival of the Great Depression a few later, Campbell spent the next five years living in a rented shack on some land in Woodstock. A ritual is a sequence of activities involving gestures and objects, performed in a sequestered place, and performed according to set sequence. Rituals may be prescribed by the traditions of a community, including a religious community, Rituals are characterized but not defined by formalism, invariance, rule-governance, sacral symbolism, and performance. Rituals are a feature of all human societies. Even common actions like hand-shaking and saying hello may be termed rituals, the field of ritual studies has seen a number of conflicting definitions of the term. One given by Kyriakidis is that a ritual is an outsiders or etic category for a set activity that, to the outsider, seems irrational, non-contiguous, or illogical. The term can be used by the insider or emic performer as an acknowledgement that this activity can be seen as such by the uninitiated onlooker, the English word ritual derives from the Latin ritualis, that which pertains to rite. 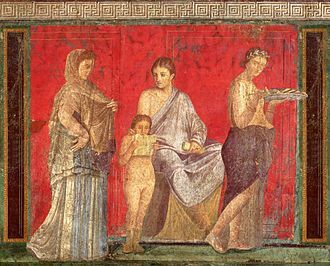 In Roman juridical and religious usage, ritus was the way of doing something, or correct performance. The word ritual is first recorded in English in 1570, there are hardly any limits to the kind of actions that may be incorporated into a ritual. Catherine Bell argues that rituals can be characterized by formalism, invariance, rule-governance, sacral symbolism, Ritual utilizes a limited and rigidly organized set of expressions which anthropologists call a restricted code. Maurice Bloch argues that ritual obliges participants to use this formal oratorical style, which is limited in intonation, vocabulary, loudness, in adopting this style, ritual leaders speech becomes more style than content. Because this formal speech limits what can be said, it induces acceptance, Bloch argues that this form of ritual communication makes rebellion impossible and revolution the only feasible alternative. Ritual tends to support forms of social hierarchy and authority. Rituals appeal to tradition and are concerned to repeat historical precedents accurately. 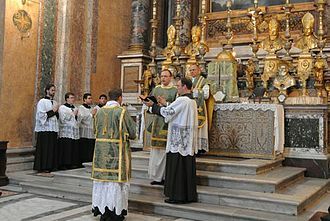 Traditionalism varies from formalism in that the ritual may not be yet still makes an appeal to historical. The Hamar are known for their custom of "bull jumping," which initiates a boy into manhood. St. Aubin in 1890. The railway is visible just above the beach. La Haule Slip is the first one, just before the clearing. View of the beach from St. Aubin's Bay. La Haule is the large building on the left. Out of sight to the left is the village. 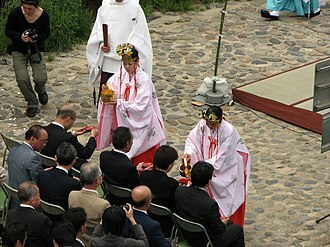 The miko's attire consists of a white haori and a red hakama. The hair is tied in a ponytail with a white and red hair ribbon. An artist's representation of "Muhammed's Paradise". A Persian miniature from The History of Mohammed, Bibliothèque nationale de France, Paris. The Islamic prophet Idris is shown the afterlife places by an angel. 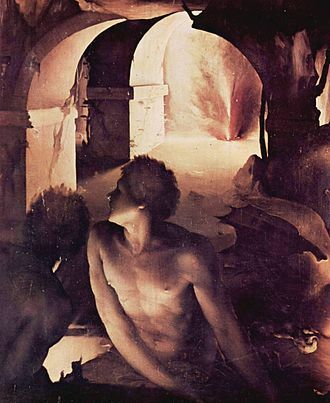 In hell, the inmates are tormented by a demon. 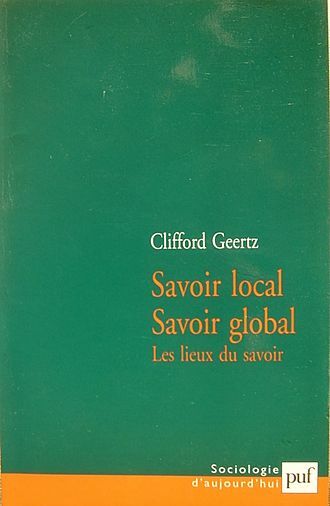 French Edition of Geertz' "Local Knowledge"
A Nepali jhākri with a dhyāngro, a traditional frame drum. 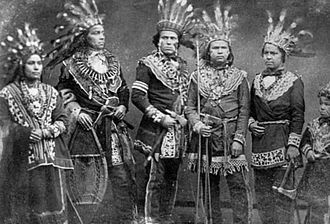 The Ghost Dance of 1889–1891 by the Oglala Lakota at Pine Ridge. Illustration by western artist Frederic Remington, 1890. A dukun (left) during the Bambu Gila (Mad Bamboo) ceremony in Liang Village, Ambon, Maluku. A slamatan in a mosque in Java during the colonial era. A Slametan in a mosque in Cibodas, with tumpeng as its main menu. ca. 1907. Han Dynasty tomb-tile showing "long-sleeved dancers" and attendants. The Oroqen shaman Chuonnasuan in July 1994. Teenage girls being initiated into the Sande society, Sierra Leone, West Africa. Text: "The dancers all wore fetishes peculiar to the order, each having special significance. 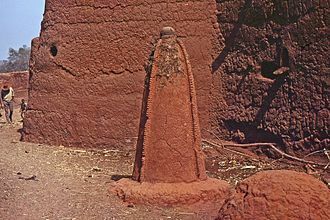 These consisted of several ropes of cane cut into beads and of rows of seeds which had been bored and filled with Bundu (Sande) medicine." The first edition of Enchanted Feminism.